The Winter Institute for Simulation, Education, and Research (WISER) of the University of Pittsburgh and UPMC has been re-accredited by the Society for Simulation in Healthcare for a full five years. WISER successfully demonstrated compliance with the criteria and best practices necessary to achieve the prestigious recognition in all specialty domains including Teaching/Education, Assessment, Research and Systems Integration. Very few programs achieve recognition in all four areas. 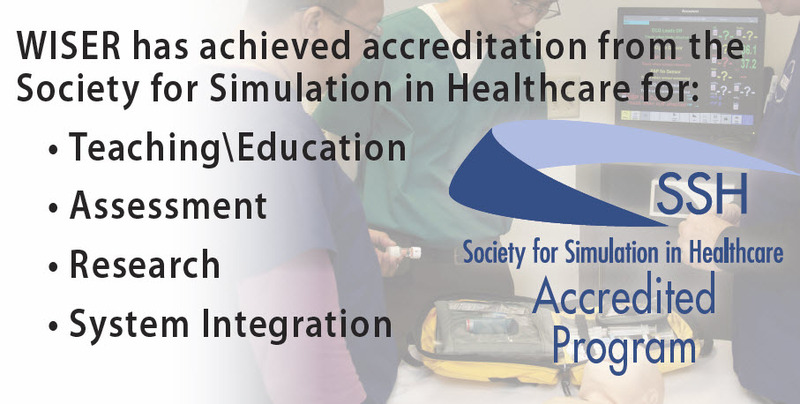 The accreditation allows external evaluation of the policies, procedures, workflow, quality assurance and improvement mechanisms exist in the areas of focus that assure a high quality and capable provision of simulation-based healthcare education. Congratulations to the entire WISER team on this recognition.